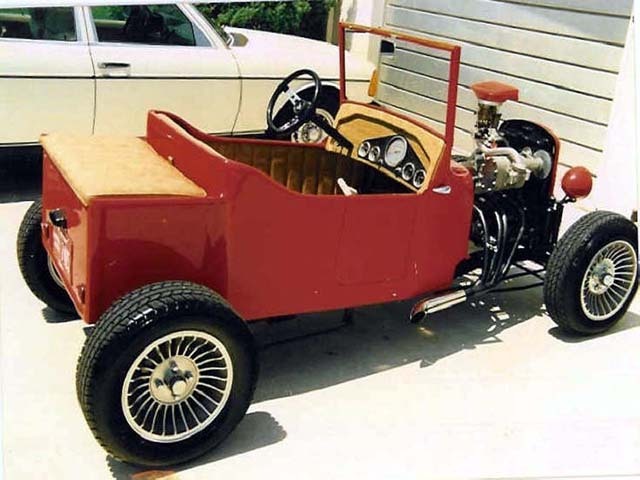 This 1948 Crosley T Bucket is the result of a 3-year restoration endeavor. No detail was missed. And no expenses were spared. It has been totally custom-built from front to back and has a complete new frame and running gear. The young man sitting in this car is Tim Freshley from Ohio, the original owner of this car. 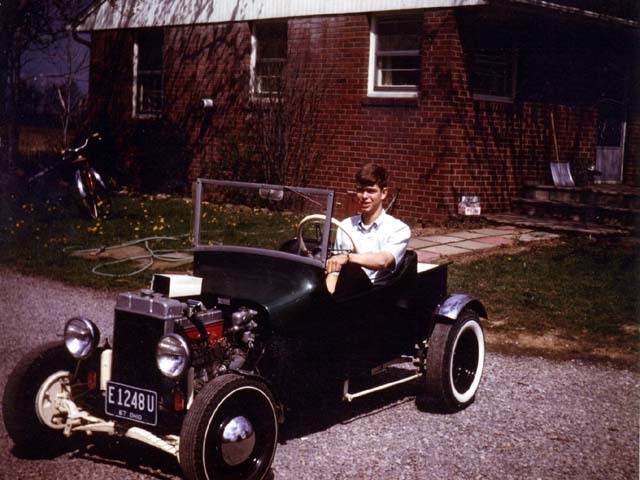 In 1960 when he was 15 years-old, he and his father decided to make a T bucket roadster as a father and son project. They started out with a 48 Crosley station wagon. The metal they used to construct the side panels was from an old coal hopper. If you notice the character line groove along the side of the car was part of the design of the original coal hopper. 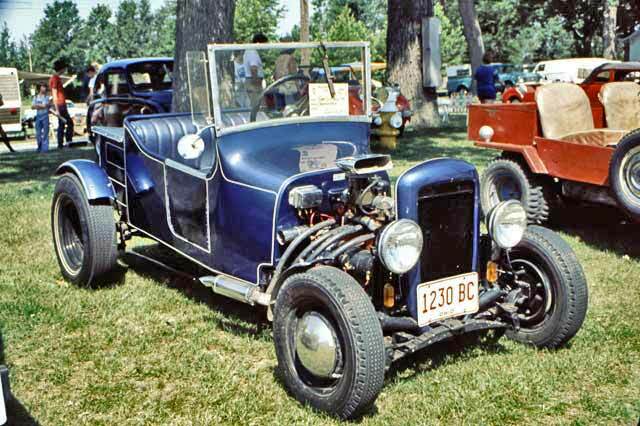 This Crosley Roadster changed hands a few times in the 70s and 80s. One owner changed the radiator shell and headlights, and painted the car blue. Then another owner in the 80s painted the car red and added some new wheels and headlights. They also added a Pepco supercharger. This is how the car looked when we acquired it in August of 2012. The front end was widened by 6 inches and the rear by 6.5 inches. A simulated quick change rear end was installed. And '49 Crosley disc brakes were added. The suspension includes front and rear panhard bars and a single leaf spring in the front and a coil overs in the back. 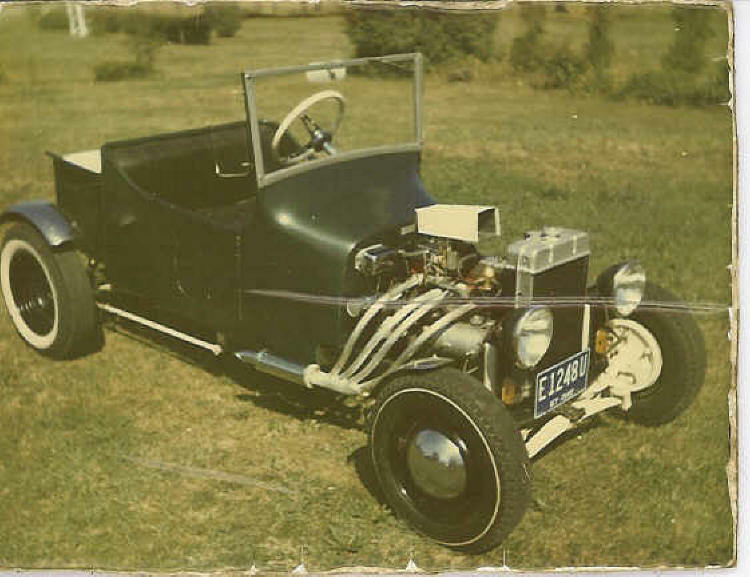 This car is powered by an NOS Crosley motor retrieved from an Army surplus generator. These generator engines were designed to be more rugged than a standard Crosley car engine. They had to meet more demanding US Army specifications. Performance enhancements include a steel balanced crank, strapped main bearing caps, four-bolt main block, heavy-duty oil pump, water pump, and rotor valves. These upgrades allowed the Crosley engine to have greater longevity and run at higher RPMs. The engine is coupled to an NOS 3-speed transmission. The Pepco supercharger was retained. The body was remanufactured with a new cowl and pickup bed. The track nose and stainless steel grill were hand built. The top is retractable with an original Model T beveled glass rear window. The trunk tailgate was also handmade. An original Crosley jack set was chrome-plated embedded into the trunk lid. The interior and trunk upholstery is tuck and rolled burgundy leather. It has a single door on the passenger side, a complete gauge system, and a fatman tilt steering wheel. An original Model T steering column was cut down, and the levers that used to be the throttle and spark controls were converted to the choke and signal lights.